From the previous clips we've gotten and according to ATLA lore, there's a possibility that these new Airbenders are descendants from the survivors that survived the genocide. In order to escape the Fire Nation, these survivors had to struggle trying to fit in with the outside world. In the original series, Ba Sing Se was known for taking in refugees, a place to start a new life. A culture torn apart, they had no choice but to intermingle with other people outside their "nationality" to start anew and most importantly, stay hidden. At this point in time, the Fire Nation were still on the lookout for the Airbender boy that escaped so it was crucial to lay low. After the 100-year war, these people would rejoice and attempt to reveal themselves only to find that they are still confined within the walls. The Dai Li, as omnipresent as ever, rounds them up and claims them as their property, taking away their rights and freedom. With this, they are able to use the Airbender gene to mass produce Airbenders at controlled rate. Yeah, it's dark and depressing, but it's realistic. Sorry to break it to you and deny your theory, but it's caused by Harmonic Convergence. But it's possible that small kind of genes for Airbending existed in these people and that's the reason they got it. We actually don't know if it is caused by Harmonic Convergence. That is never stated in the 4 episodes that leaked. After the trailer I think that the people with airbending genes were awakened as airbenders because of the fact that Bumi can airbend. But Tenzin and his kids could already Airbend? What's the difference between Bumi and them? Bumi's airbender genes were apparently more regressed than those of Tenzin and his kids. It might've taken the spiritual energy of harmonic convergence washing over the world to bring them to the fore. Genes don't really work like that. We could say that perhaps he was an Airbender who was too weak to manifest his power, and the HC gave him a boost of some kind. That's probably what they will say. That's kinda what I meant by it. Bending "genes" undoubtedly don't work like regular genes, considering they're about elemental superpowers. I am not sure that quibbling about how genes work is a valid argument. What makes you think that the Bryke know or even care about how genes work? The leaked episodes don't reveal why nonbenders can suddenly bend, but I think that the Harmonic Convergence activating dormant airbending genes is the correct answer. It allows the Bryke to have their cake and eat it. I was just poking fun at the talk about genes. I prefer vague magical nonsense to vague pseudo-science as a general rule. I like to think of it as a.. 'suitable descriptive term'. I have no doubt at this point that there were survivors of the Air Nomad Genocide. We know that the Bisons survived, and that the Air Nomads were aware of the danger of Sozin's comet. The Air Nomads are nomads, so even if no one has the bloodlines of the genocide survivors, it's very likely that previous Air Nomads mixed with other cultures. Finally, there is also the possibility (which I really wish the creators would explore) that there were Air Benders out there who weren't Air Nomads. The Water Tribe is split three ways, the Sun Warriors aren't Fire Nation, and the Earth Kingdom appears to be a series of city states united under the Earth Kingdom banner but not one king. I do doubt that Ba Sing Se has a breeding program, but it does appear that they were taking children who were gifted with Air Bending because of the Harmonic Convergence. Orphaned children are just easier to control and have disappear than adults. I also don't think bending has a specific gene that you can breed as if they were a dog, but bending does probably run in certain families/cultures. It's clear from the leaked eps that they're non benders who just recently got air bender powers, and certainly implicates HC as being the reason. They're almost all experienced except one who was almost certainly a skilled combatant already. It's also the only reason for why the story is happening at this point in time. Whether these people had air bender genes is not supported anywhere, esp considering most of the new air benders are related to earthbenders, so by occamms razor we can dismiss it. Note that we have never had any indication that bender heredity have mixed except in the recent past, and even then bending heredity still seems mutually exclusive, note that Tenzin has all air bender children. What I don't understand is if any Air Nomads survived Sozin's genocide how come there weren't any Airbender's around? I mean I know they'd want to lay low but they could have been fine in pretty much any nation minus the Fire Nation. Just doesn't seem to add up. I know they feel the need to add plot elements but it's kind of annoying when the only reason they happened is "Just Because". Because they only recently became airbenders. They weren't lying low for 170 years; airbenders were (nearly) extinct that entire time. (Most likely) the spiritual energy that washed over the world during harmonic Convergence jolted up the bending skills in many non-benders (probably people who had ancient air nomad ancestry). What I wonder is whether there will also be a load of people who suddenly became water/fire/earth benders after harmonic convergence. It'd be odd if Harmonic convergence specifically created airbenders, and no other kinds. It'd be odd if Harmonic convergence specifically created airbenders, and no other kinds. Could be that the universe is trying to restore balance to the bending arts, so that centuries from now not all airbenders have Aang as a common ancestor. And I agree with the theory that what happened was a matter of imbalance requiring from the Universe an effective measure for restoring balance. If we thought about the 4 Air Temples geographic distribution, it would seem reasonable to have new airbenders popping up in the whole planet. I could think a bunch of different reasons why there weren't any Air Benders revealing themselves the last almost two hundred years. - First reason is they were a product of a Genocide, fear and paranoia of outsiders results. - The Air Benders isolated themselves from the other nations, and this might have resulted in extreme isolation after the wary. - If only children survived the Genocide they might not relate at Air Nomads any more, and because of paranoia they never revealed themselves. - The same thing could have happened to disillusioned adults. - Aang wasn't around to perform his duties and defend his people during the genocide. Their descendants just might have not trusted him any longer to reveal themselves. ^They didn't exist. Avatar: The Last Airbender, should be taken exactly as that. End of story. There's no reason why any remaining Air Benders wouldn't reveal themselves after the war, it was 70 years of world peace, and kids aren't exactly discreet. The leaked episodes point very strongly to these people having become airbenders very recently (since harmonic convergence), rather than them hiding for 170 years. 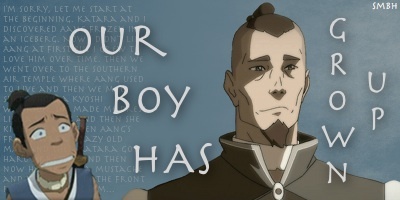 I still don't understand why survivors would never have revealed themseleves to Aang. Even if they weren't benders it still would've been nice to say "hey, I'm an air nomad, I'm not an air bender though". ^ Survivors would likely be dead by the time Aang showed up 100 years later. And their (grand)children might not know about their ancestry. Sadly I can't see it. Doe this mean that the new air benders are descendants of the Air Nomads?